Loyalty press conferences in the UK are a funny old thing, because there aren’t actually that many people to invite! Thus it was that four usual suspects – plus a mysterious woman who I didn’t even notice until the end, who didn’t speak and I have no idea where she was from! – turned up at the Great Northern Hotel yesterday morning to hear more about the Marriott Rewards changes. Whilst most of the Starwood Preferred Guest management have left the business since Marriott took over, the European loyalty VP is an ex-Starwood man and someone I have known for a few years. He seemed very happy about what Marriott has created from the combined loyalty schemes and – I have to say – he is right to be so. The fact that virtually every key aspect of Starwood Preferred Guest has survived is a minor miracle. Hilton Honors and IHG Rewards Club will need to do some serious thinking now. The big one: What happens to people who have SPG Gold via American Express Platinum and are matched to Marriott Gold? It is currently stated that the UK Starwood Preferred Guest American Express will continue and that the Marriott Rewards Mastercard, issued by Creation, will return after a two year break. I got the impression that this is not as clear cut as we think. As the return of the Creation card seems certain – given that an August date has been announced – perhaps the Amex will be dropped in the New Year? We specifically talked about this to ensure that everyone was on the same page. Occasionally the Marriott team was using both phrases interchangeably as if they were the same thing – and they are not. Marriott has historically allowed its hotels to have blackout dates for rewards – that is no longer allowed. However, apparently we will also see (as Starwood already has) “last room availability”. This means that not only must a hotel make reward nights available, but they must keep making them available as long as standard rooms are available for cash. There are ways of gaming the system, of course. A hotel can create a small category of rooms – say the four rooms with a particularly bad view – and create a new category for those four rooms, charging $5 less for them. They are then allowed to restrict ‘last room availability’ to just those four rooms. In general, though, this is another major improvement. We will not get the weird Avios situation, where Dubai in August (50 degree heat) is peak pricing but the main tourist season in ‘off peak’. The plan is that hotels will approximately set 20% of their days as peak, 20% as off-peak and 60% as standard. There will be some standardisation – I got the impression that they want all hotels in a specific city, if not country, to be showing the same level of pricing. I thought it was only The Ritz-Carlton which had this exception, but I was told EDITION hotels also had the same rule. At the cheaper end, it also impacted Moxy, AC Hotels, Courtyard, Gaylord, Protea, Springhill Suites, Residence Inn, Towneplace Suites and Fairfield Inn. From now on you will always earn points on food and beverage spending irrespective of brand. 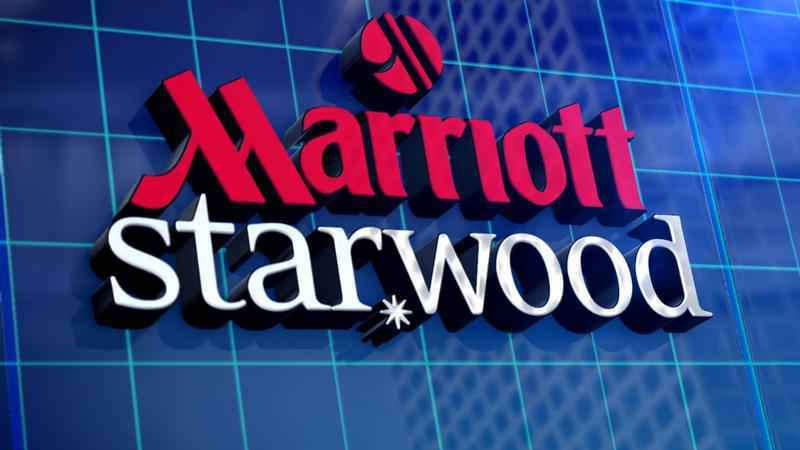 Marriott Travel Packages will remain …. …. although the small print will change as the new hotel categories are introduced. You can’t sign up for the Emirates and China Eastern partnerships …. …. after 15th July. I will do a separate article on this. Those who sign up will continue to receive the benefits. The Delta partnership closes full on 15th July. As present you can book three rooms at a Starwood hotel and it will count for three nights towards status. Book three rooms at a Marriott and it will count as one night towards status. To be honest, this news is mainly useful for people who do ‘mattress runs’ – booking three nights at the Sheraton Heathrow on a Saturday for £50 each is a cheap(ish) and easy(ish) way of getting to Starwood status more quickly via a Platinum Challenge. It wasn’t clear to anyone what the situation would be going forward. US reports I have seen say that the Marriott policy will prevail. The issue, oddly, is down to boring old things like the sheer volume of different items that need to be designed and printed. And that was it. Nothing else came up that wasn’t covered in our article yesterday. In general, for most people most of the time, things are going to be OK – and I say that as someone who will lose the current Gold benefits of 4pm check-out and lounge access in the New Year. I’m not giving any promises about the situation five years down the line but for now Marriott is clearly keen not to rock the boat with the Starwood regulars – even if it is being less generous to Amex Platinum freeloaders like me …..
Re The big one. How about gold status via the spg amex card not the platinum card? Will I get platinum as well ? 1) We had drinks on the rooftop bar at Le Meriden in Nice and no, we are not staying thee, but at the HI 400m away on a points break deal). There were signs in the lift reminding us that had we had our SPG cards with us, we would have been entitled to 20% off food. Not really a problem, as we had not planned to eat anyway. But Is there any info on whether this benefit is remaining or going? It is useful. And, at present, SPG is the only scheme where you can get points on just eating in the restaurant, as well as 20% off. 2. If we book a weekend stay at he Aloft in Liverpool now (costs just 3000 SPG! ), will that be honoured a) after 1 Aug 2018 b) after 1 Jan 2019?? All existing bookings will be honoured. I both thought that that ought to be, and hoped that it would be, the case? I suspect/fear that the SPG restaurant discount will disappear, but have not seen any mention either way. If so, hopefully they would reduce restaurant prices. And points from restaurant purchases by non-residents? But what does it mean when they mention that “stays” dont count towards status but nights do. Previously with Starwood you could qualify on the number of stays or nights – 25 stays or 50 nights for Platinum, so in fact, 25 stays of 1 night could gain Platinum. That’s gone – now only a total number of nights will count. Doubt a day use would qualify ? Thanks doreen. I wonder if a “day-use” will count as a qualifying night. I guess i will have to book one and check my account to see. With Starwood, you can qualify based on STAYS or NIGHTS. For eg (and I am making this up) ‘Get Gold for 10 stays or 20 nights’. This means that you could get status EITHER by 10 x 1-night stays or 1 x 20-night stay or any combo. Going forward, there is NO stays option. It is ONLY based on nights. This makes it a lot harder if your job involves 90% one-night stays because qualification just got a heck of a lot harder. If your job typically involves 2-3 night stays then it makes no difference. The amex spg card is still truly a very goid card despite the annual fee. Any insight on whats happening here with it? Will it be 3x from Aug? 1) 5th Night free (5 for 4) perk is staying, but is that limited to Gold / new Platinum status holders? 2) If memory serves, in SPG you can transfer 30,000 points to another member, free, without status. In Marriott, transferring 50,000 points to another member is free if Gold, else $10 fee. Which rule will prevail? Or is there a new rule altogether? Thanks for the heads up. Watching it now. Not seen anything that covers either. The marriott site says 5th night free stays. I think that can be interesting from status match points of view .. so if we get Plat for Ag-Dec … are there any schemes where we can status match this ? If you have a Marriott stay you could get a challenge from Hilton for Gold or Diamond. Just wondering about the free breakfast for platinum holders in resorts? Your head for points statement said this was being extended to resorts, I am looking at booking one next Easter. However, on the Marriott link from the email they sent with the details of the new scheme, they still said the resorts were excluded. Saw that too. Is this just for Plat Elites? Press release specifically mentioned resort breakfast coming. I’m actually most curious to know… Who are the 4 kingpins of the UK loyalty scene? I’m going for Rob, Godsavethepoints, business traveller magazine, and I don’t know! Michelle from turning left for less? Simon Calder? No and No. It was Annich McIntosh who edits Loyalty Magazine. This is 95% retail loyalty which is why you have never heard of it – last time we spoke was at the Nectar event at Sainsburys the other week. Referring to “You can’t sign up for the Emirates and China Eastern partnerships …. after 15th July”, I received an email from Emirates yesterday specifically for the Your World Rewards partnership and stating that “Emirates Skywards and SPG have come together”, but with no indication of it ending in a few months. It is not ending, but registration is …..
Can I sell someone my Emirates / SPG partnership? One thing I would quite like to know is if they will be following the SPG benefit of an upgrade to the ‘best available room’ at check in. As with SPG, as a Platinum member, I have also been upgraded to at least a standard suite. Whereas with Marriott they will often just upgrade one room category and I have to ask for it if I want anything more which is never great to have to argue for a benefit. It doesn’t look promising given it just mentions enhanced room upgrade. The loss of SPG’s ability to claim status nights on up to 3 rooms for booking multiple rooms is a big blow to those earning staus with family holidays. Any info on whether SPG’s 50% discount onsecond rooms for children under 21 will be adopted by Marriott?